Gabrielle Selz was raised by parents whose ideals shaped not only her life, but the lives of those in the modern art world as well. 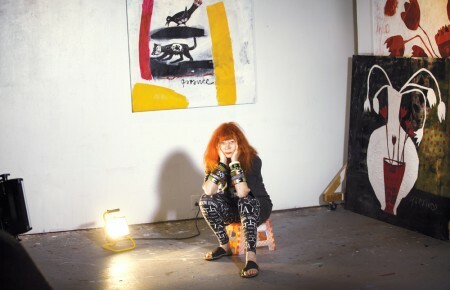 Her father is the famous art historian Peter Selz, her mother, Thalia Selz, was a short-story writer and teacher; she was also her husband’s (unofficial) principal artistic advisor. Their passion for art was the focal point in their relationship. Shortly after Gabrielle was born, Peter moved the family from the West Coast to New York City to become the chief curator of painting and sculpture for the Museum of Modern Art. Gabrielle and her sister grew up surrounded by some of the most celebrated modern artists of the time: Rothko, de Kooning and Christo, which gave her a bird’s-eye view of how art and life feed off one another. Peter and Thalia’s relationship eventually fell apart (due in large part to his many affairs), and he moved back to California to become director of the University Art Museum at UC Berkeley. Gabrielle vacillated between feelings of love and admiration for her father, as well as feeling abandoned. 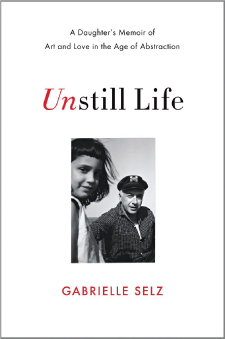 Unstill Life offers an illuminating perspective on growing up during the turmoil and tumult of the modern art movement of the 60s and 70s—breakneck periods of development mirrored by the author’s own family. Learning to accept the baggage that came with being her father’s daughter was not always easy, but Gabrielle was ultimately able to make peace with her unique upbringing and appreciate the education that was an inherent part of the structure of her family. With art as the backdrop to her life, Selz’s story offers a unique vantage point into the world of some of our most famous modern artists, but she also sketches a moving portrait of an artistic family and how strong the ties that bind us can be. 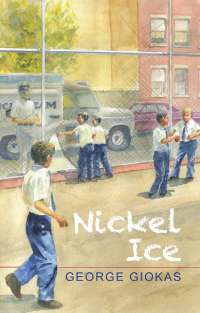 Noted Newsday reporter and columnist George Giokas ventures into the world of YA literature with his debut novel, Nickel Ice. The book follows the story of Petros, a 14-year-old boy growing up on the streets of Queens during the 1950s and 60s. 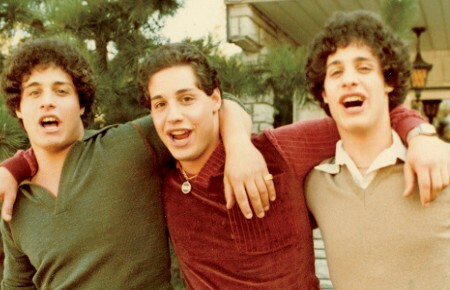 Petros must learn how to navigate the pressures of school, peers and his traditional Greek family. As he deals with the bumps in the road that come with growing up, he is supported by his friend, Mulvaney. Nickel Ice is infused with nostalgia for a simpler time—a time when kids were sent outside to play after school, only returning home when the streetlights darkened. Readers young and old will be able to identity with Petros and his struggles to be heard and understood. Before becoming the founder and president of Empire Government Strategies, Jerry Kremer enjoyed a long and distinguished career as a NY assemblyman. 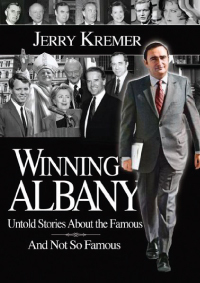 In his first book, Winning Albany: Untold Stories about the Famous and Not So Famous, he shares stories from his personal life as well as his most memorable experiences in Washington. Kremer details his journey from the Bronx to Long Island, and all the way up to Albany. The memoir is filled with personal stories about his experiences in office, including the backstory on the passing of many of the bills he sponsored. Kremer helped to author laws dealing with boat safety, fares and tolls and the famous “Lemon Law” bill for new car buyers. Kremer also shares anecdotes about his encounters with the people he met while in office and the wisdom he took away from these experiences. This author’s debut novel explores the enduring bonds of female friendship. In you knew me when the relationship between the two female protagonists, Laney and Kitty, is put to the test during their 20-plus years of friendship. Meeting as young teenagers, Laney and Kitty form a close bond; having recently moved to a new neighborhood after losing her mother, Kitty is grateful to Laney for taking her under her wing. Their friendship develops into a sisterhood of sorts, but their bond is broken over Kitty’s decision to move to another state after college. Years later, when a childhood neighbor leaves them a shared inheritance, they must reconcile their past and the question of whether or not their shattered friendship can be put back together. 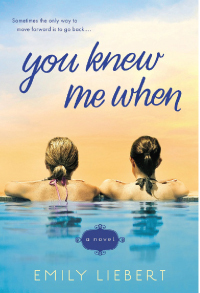 you knew me when explores the unbreakable power of female friendship and the importance of forgiveness. 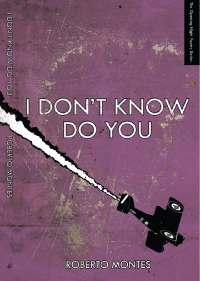 Long Island native Roberto Montes proves that the modern-day literary poet is alive and well with his debut book of poetry I Don’t Know Do You. Montes’ poetry forces us to look into and then outside of ourselves, examining ideas of identity and what it means to “be a person.” Does being a fully realized person mean we can move beyond our selves? If the only certainty in life is in knowing that everything is uncertain, can we ever really know anything, or anyone anyway? Can we forgive ourselves for our human foibles and focus instead on our infinite capacity for love? Juxtaposing humor with prose, Montes ultimately celebrates the pain of being a human; exploring the notion that perhaps true joy exists only in our ability to keep asking the questions.